Let the cold winds blow! Speckled trout are still here for our catching and eating pleasure. 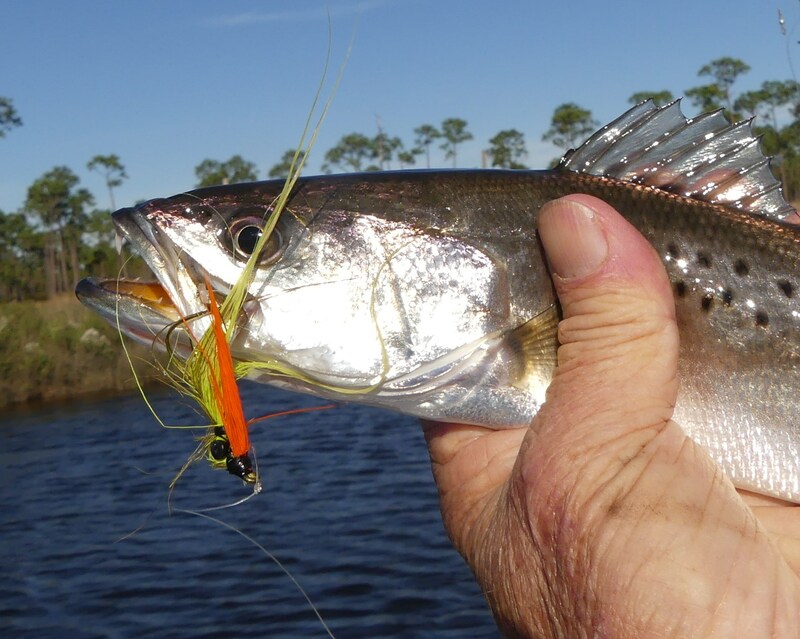 No one will claim speckled trout fishing in February on the Gulf Coast is the same as during spring and summer, but the specks are still capable of being caught. We just have to go about things a little differently. When the temperature of the wind and water fall, anglers must do their work in places and in ways that are not at all the same as earlier in the fishing year. 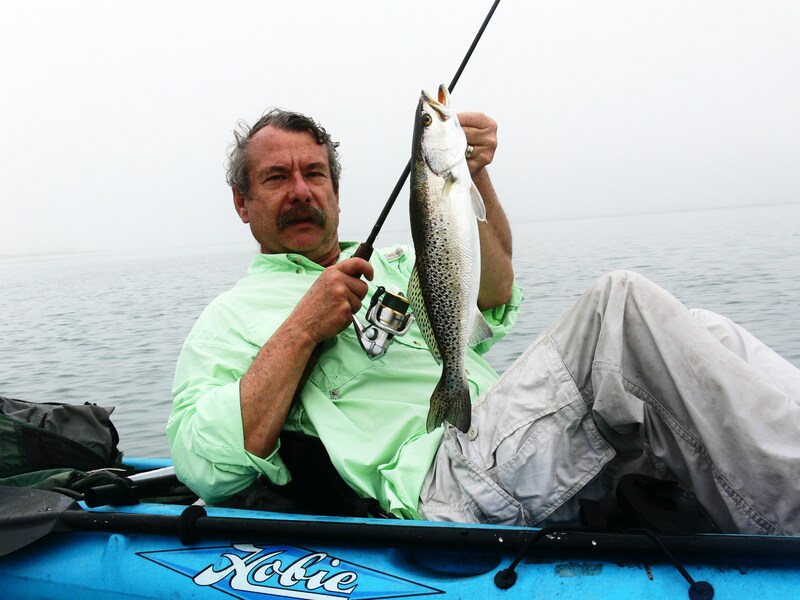 The first chore for a cold water speckled trout angler to accomplish is to find the fish. In cold weather and water times, specks are not scattered widely- they’re concentrated in big schools in very specific locations. And when we find them, we will usually find a lot of them. In cold water times, specks like the deeper water because it tends to be a bit warmer, and the salinity is more to their liking. Also, this deep water is where the bait tends to congregate. Fly rod anglers can catch specks on weighted, sinking flies. Photo by Floyd Chandler. In cold water conditions, the specks can’t afford to be picky. They must take advantage of any possible food source that comes their way. This non-specific feeding pattern is good news for anglers. It’s much easier to tempt a cold-water speck that is eager for anything that is edible than a trout that is focused on one very specific size bait running in big, easy-to-find schools. One of the best cold-water trout lures is the simplest- a ¼ oz. jighead with a soft plastic grub body. This lure can look like anything in the water, and it always looks like something a trout might want to eat. Anglers fishing for cold water trout must get used to very subtle bites- the specks won’t take the rod from your hand when it’s cold. Reels need to have the drag set very light, and when using live bait with multiple rods out, it is sometimes a good idea to attach a small bell to the rod tips to help anglers detect very light trout bites. The water in the Mobile Bay and other big water systems on the Gulf Coast is generally as clear as it ever gets during winter cold water conditions. 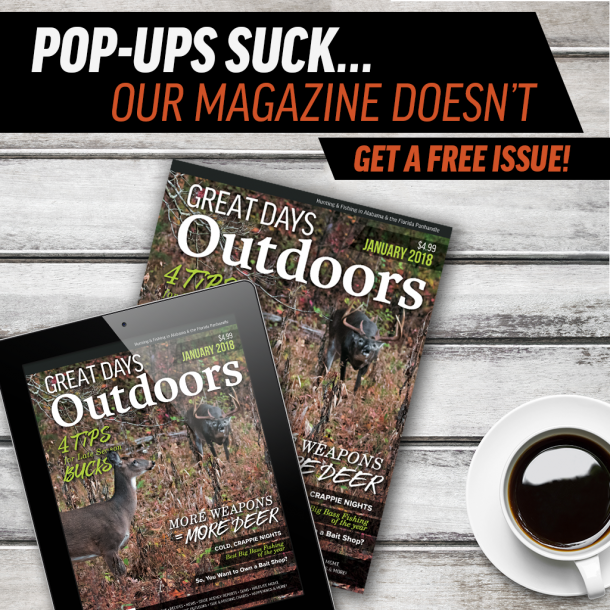 This means that anglers who are using braided line- a good idea to help detect the light speck bites- will need to use a five to six-foot monofilament or fluorocarbon leader to keep the trout from being spooked by the solid braided line. When fishing deeper water like in the Theodore Industrial Canal, Captain Yano likes to anchor on one of the many 16-foot-deep ledges and then cast to the deep water. A very slow retrieve with short hops of the lure or bait on the bottom works best. Anglers should feel for the lure or bait to snag on a shell, but if the shell starts a headshake, it’s a good strike from a speck. A place that anglers find very good cold-water trolling and casting for speck is in Dog River between the marina and the west side of the bridge which crosses Dog River. This can be great trout fishing water. In particular, anglers can troll or cast lures- jigs with soft plastic bodies are best- and bounce the jig across the bottom. Feel for the lure as it “hops” off the bottom and then settles- most speck strikes will come as the jig settles back down. A very simple yet very effective set up for cold water trout is probably already in most Gulf Coast anglers’ arsenals. A medium to light spinning or level wind rod and reel with light line is standard. Anglers need to think light line and small bait presentations. Another point that Captain Yano makes is that the leader being used should be lighter than the main line. This allows anglers to quickly and easily break off snagged lures and hooks with minimal re-rigging time. This cold water on the bottom fishing guarantees anglers that they will get snagged from time to time and lures and hooks will be lost. Some very nice trout will come to February anglers who work deeper water slowly. Photo by Floyd Chandler. A way to locate and catch the cold-water specks of winter is to troll for them. This is not a high-speed technique at all. It’s either using the wind, current, or a trolling motor to slowly drag lures and bait across the bottom of the rivers. This slow-troll allows anglers to cover a lot of water. According to Yano, the key to successful trolling for cold water specks is to have no heavy line on the trolling rigs. Since the trout will be very near the bottom, bait and lures must get down deep to reach the fish. Heavy lines don’t sink as fast or stay deep as well as lighter lines. Trolling a small-diameter braided line in 20 lb. weight is a good choice, and the mono leader needs to be lighter- say 12 or 15 lb. test. When trolling, anglers need to be aware of any trash getting on the line. Anything which gets on the trolling line will kill the action and feel of any bites. Up in the rivers of the Gulf Coast, pine needles floating in the water are particularly common to snag on trolling lines, and they need to be removed immediately. Sounds like a recipe for a lot of cold weather, cold water fishing fun to us.